By now you must know that Timothy Zachery Mosley aka Timbaland is one of the most influencial producer and record producer of his time when it comes to the hip hop world. You might also know that Jay_ Z has just released his latest album, Holy Grail, a few weeks after Kanye West. A lot of little questions are to be asked such us what happened in between Jay Z and Kanye West ? But more important questions are to be asked such us, what are they trying to build. I am saying they, because even f the method is different, I have a feeling that both Jay Z and Kanye West are looking for something, they might say a new product, a new colour, a contemporary feel ! The 3 first songs of Kanye West album are obviously the most courageous and engaging approach have seen for a long time, I am talking true Nina Simone’s style. When it comes to the top, we all knew Jay would be way more polite than Kanye. So let’s say that that the gravity center is not at the same place and that the 2 kings artists are not aiming for the same thing. 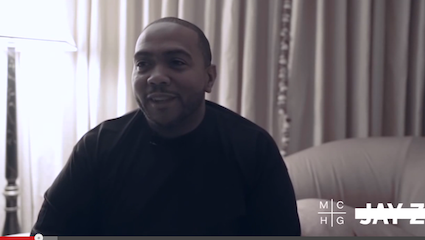 In the md tiem, Timbaland is pretty articulate about his experience with the new album… listen ….